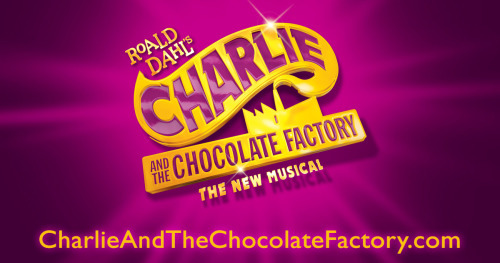 I’ve seen the musical play of ‘Chalie and the Chocolate Factory’ at the theatre royal Drury lane. It is the West end production. It published in 2013. The play in the theatre-royal Drury-lane will end in January 2017. However, the play will play on Broadway from 2017. It was written by Roald Dahl who is a famous author in the UK. He made a lot of famous story like ’ Matilda’, and ’ BFG’, etc. many his stories reproduced to a film production or a theatre production. Especially, Charlie and the Chocolate Factory is quite popular in the world. Because it is also reproduced again and again. In 1971, first reproduction of its film published. Also in 2005, Tim Burton who is the famous film director of fantasy published the new film. About the story, the eccentric manufacturer of chocolates and candies Willy Wonka promotes a tour through his chocolate factory, the greatest in the world, through five golden tickets hidden in the bars of chocolate. The poor and sweet boy Charlie Bucket finds one, for the pride and joy of his very supportive family, and he spends the day in a mysterious competition for an unknown award with four other nasty boys and girls. The script of the play is almost same as the original novel. I guess this play meant to be difficult to make something new. Films are already so individual and spread a preconception of the story, and sometimes Films represent a fantastic world much better than theatre play. Because the film can use a CG production, and sometimes it can hide a truth by the camera angle. Furthermore, both of films already used catchy songs. However, it could make an individual world as well. It completely has unique points at every section of the stage play. Firstly, its music is so catchy and iconic. It represents its unique point which is different from any other songs for Charlie and the Chocolate Factory. the songs contain many styles of music. For example, Children who got a golden ticket have an own song. In the original novel, they are an irony of a spoiled child in the world. They have a strong personality and different nationality. The songs for the children represent their character via several musical styles. Augustus (Fat child, German)’s song is like a yodel. Veruca ( Daughter of a wealthy man, British) ’s song sounds like a classic music which related to ballet, and two American kids, Violet (Daughter of a singer) and Mike (Obsessed to a computer game) ’s songs are kinds of contemporary American music. Several types of music also could make a different atmosphere in this play. On the other hands, Only one song "Pure Imagination" is not an original song. It quotes from the film of Charlie and the Chocolate Factory in 1971. Especially this song has an intense impression in the film. Willy Wonka sings this song at the last part of the play. I guess audiences don’t expect that the Willy Wonka will sing this song because the other songs were completely original. I think the balance of this quotation and the other original songs can make impressive nostalgia in audiences’ mind. In terms of its set design, I thought the contrast is a key of this design. This play has a different kind of contrasts. First is poor and rich, Second is realistic and fantastic, and Third is simple and decorative. The contrast between poor and rich is a representation of four nasty children in the first act. These four children appear on the huge TV. This TV depicts Charlie and his family watching the TV in his house and they also checking how many Golden tickets already left. TV shows a breaking news and represents children who got a Golden ticket. The set in the first act is completely monochrome, and its atmosphere is unsanitary and looks like a rubbish heap. However, scenes in the TV are so bright and colourful and looks more cheerful and attractive than charlie’s realistic life. Although at the same time, it depicting an irony of spoiled children and their stupid parents. Because it’s bright colour in the TV is absolutely artificial. I thought this feeling like an artificial product is the interpretation of their fake fortune. In contrast, Charlie’s house looks like rubbish, but it has a warm atmosphere which seems more lively than the representation of four children on the TV. It represents a true love in Charlie’s family. I found the contrast of the realistic style and the fantastic style between the first act and the second act. The first act focuses on a realistic and poor life of Charlie at all. But the second act completely depicting the fantastic world inside the Wonka’s factory. It contains a lot of sci-fi sets and this colour is so remarkable. These sets’ shape obeys to the circular arc which tries to give perspective to the set and make the stage looks larger. Besides, it has a projection mapping which also can expand the space larger. Furthermore, it supports to depicting the Wonka’s fantastic factory via magical videos which are impossible to make as a physical set. The contrast between the act1 and the act 2 as realistic and fantastic make the Wonka’s factory more attractive like a children’s dream. In conclusion, this is successful to represent Roald Dahl’s Charlie and the Chocolate Factory by the new and contemporary way. Nothing is similar to this play.